We studied phylogenetic relationships of 39 primate species using sequences of the ε-globin gene. For 13 species, we also included flanking sequences 5′ of this locus. Parsimony analyses support the association of tarsiers with the anthropoids. 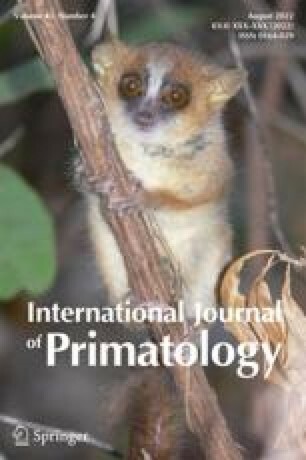 Our analysis of New World monkeys supports the model in which the callitrichines form a clade with Aotus, Cebus, and Saimiri, with Cebus and Saimiri being sister taxa. However, analysis of the 5′ flanking sequences did not support grouping the atelines with Callicebus and the pitheciins. Our data support the classification of platyrrhines into three families, Cebidae (consisting of Cebus, Saimiri, Aotus, and the callitrichines; Atelidae—the atelines; and Pitheciidae—Callicebus and the pithiciins. The strepsirhines form well-defined lemuroid and lorisoid clades, with the cheirogaleids (dwarf and mouse lemurs) and Daubentonia (aye-aye) in the lemuroids, and the aye-aye being the most anciently derived. These results support the hypothesis that nonhuman primates of Madagascar descended from a single lineage. Local molecular clock calculations indicate that the divergence of lemuroid and lorisoid lineages, and the earliest diversification of lemuroids, occurred during the Eocene. The divergence of major lorisoid lineages was probably considerably more recent, possibly near the Miocene–Oligocene boundary. Within hominoids some estimated dates differ somewhat from those found with more extensive noncoding sequences in the β-globin cluster.